We have talked about what occurred in both the Middle East and Europe during the Middle Ages period. Now we are going to focus on the importance of some of the African Kingdoms to this time period. 1. 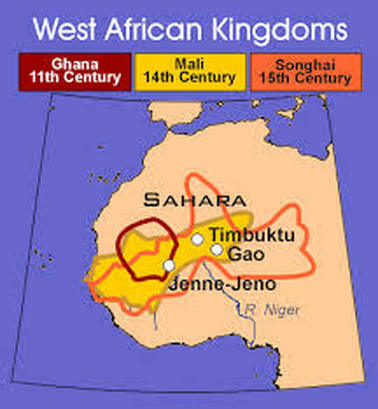 I can explain how the West African Empires (Ghana, Mali, and Songhay) grew as a commercial and cultural center along a trade route. 2. I can explain how trade routes connecting Africa, Europe and Asia fostered the spread of technology and major world religions.